Okay not literally the world, but the US of A for sure. I spent the month traveling from California to Colorado to Nashville to Atlanta. 5 speeches in 4 weeks felt like a marathon in the best way possible. I love speaking at conferences and helping others know the best practices of marketing with social media for their event venues. 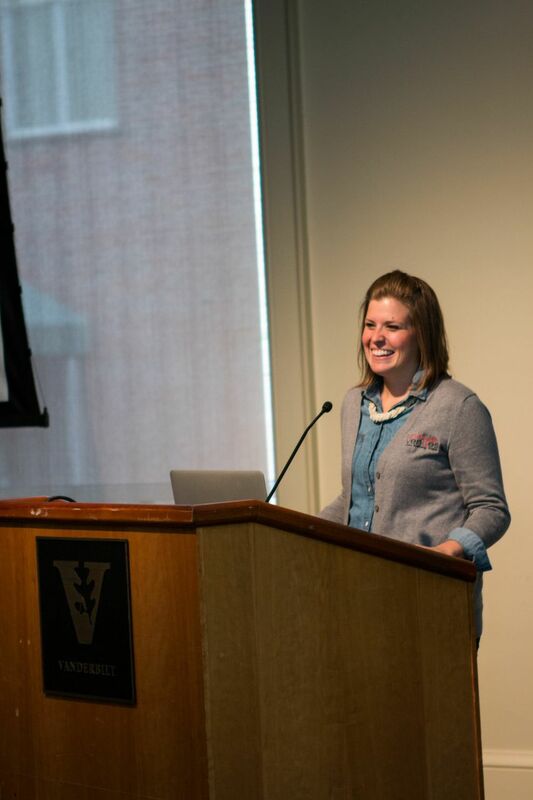 This month I also had a new opportunity of speaking with the women at Georgia Tech about marketing themselves online and creating a work-life balance both while in school but also in their post-grad lives. I think one of my favorite things about these different speeches was the places I got to visit and the people I got to meet and spend time with. I was extremely nervous to go to the conference at the beginning of the month because it was on the opposite side of the country, I knew no one, and I was going to have to spend the whole day on a bus with strangers making chit chat. Some people love networking, for me, it is a little uncomfortable. I tend to go with what I know, and not knowing anyone totally made me step outside of my comfort zone and trust. Y’all, I was amazed at the way that first week showed me how much the plans I try to make for myself are not the full picture of what God is wanting for me. I planned to sit in the back of the bus, in an empty row, and just fade into the masses. But no, there was a seat at the front of the bus, next to a sweet looking young lady, and I was brave and asked to sit down. That is when I met my new BFF. Have you ever met someone and instantly clicked? It seemed random but at the same time totally meant-to-be. 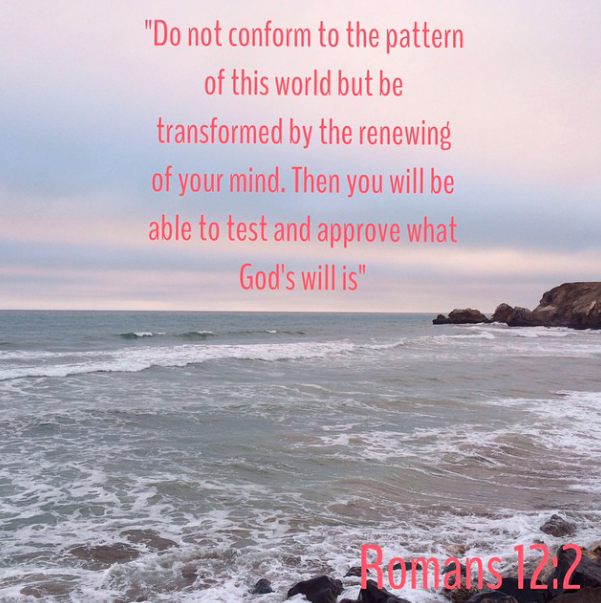 I can’t really describe it but this was the verse that I stumbled upon in that very moment that captures how I felt about that whole trip: “Do not conform to the pattern of this world but be transformed by the renewing of your mind. Then you will be able to test and approve what God’s will is” – Romans 12:2. While the trip was for work, the people I met, the dinner spent ocean-side, and the ideas that were breed from the workshop gave me a lot to think about and to implement. I think the biggest thing I learned, is that getting out of your comfort zone can be SO good. It is uncomfortable, yes, but new friendships can bloom, new ideas can arise, and you can be reminded of the fact that being brave and taking the step out on to the water can in fact be the best step of the whole month. This entry was posted in Travel and tagged life, speaking engagements, verse. Bookmark the permalink.